These woven cane napkin rings will add a minimalist Scandinavian look to your Thanksgiving table. Add a burst of foliage-inspired color to your holiday table with these unscented paraffin wax candles. 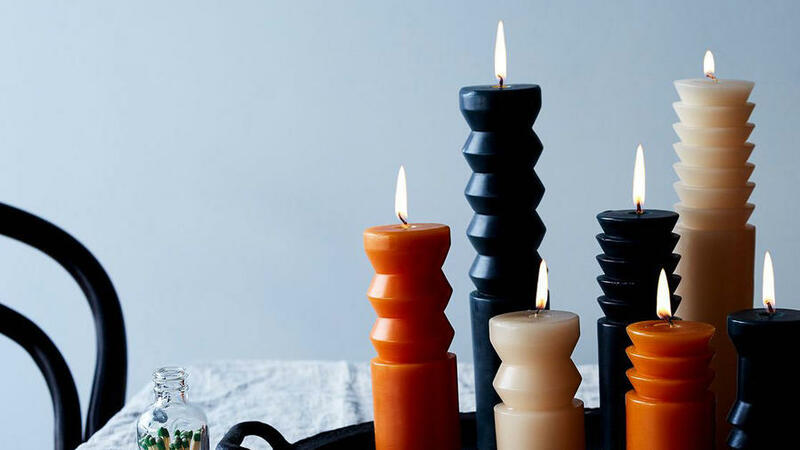 Available in sets of three, these candles can be styled together in a cluster or placed separately. 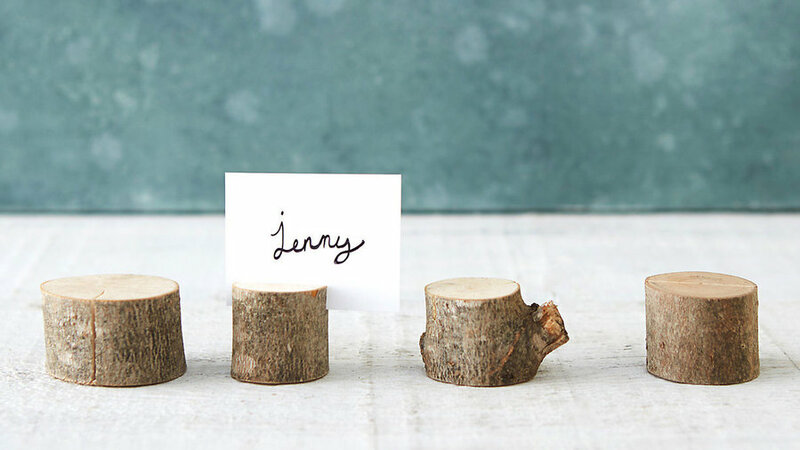 Figuring out the seating arrangement for this year’s Thanksgiving will be fun with these rustic, handmade wooden place card holders. 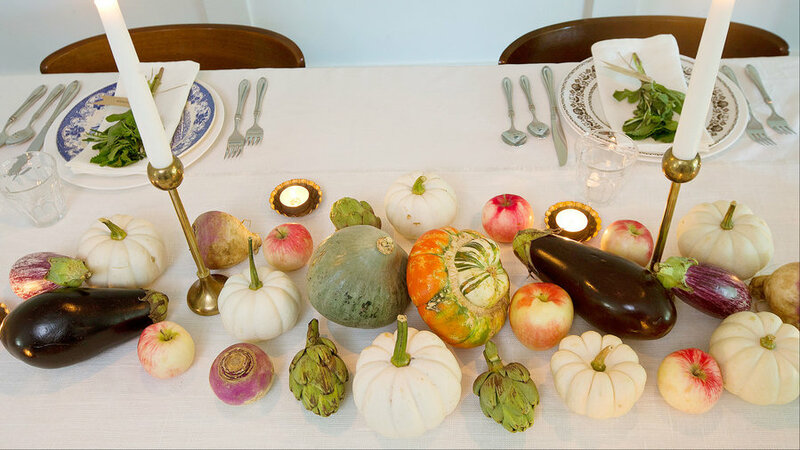 A runner with geometric pattern and poppy autumnal hues is the perfect piece to brighten up this year’s tablescape. 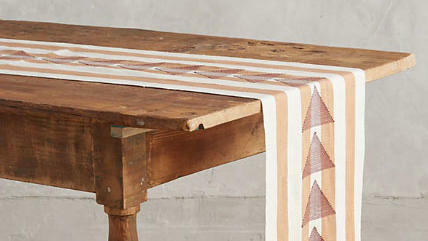 This one, by Colombian-American designer Dana Haim, was inspired by her many travels and is a nod to ancient textiles. 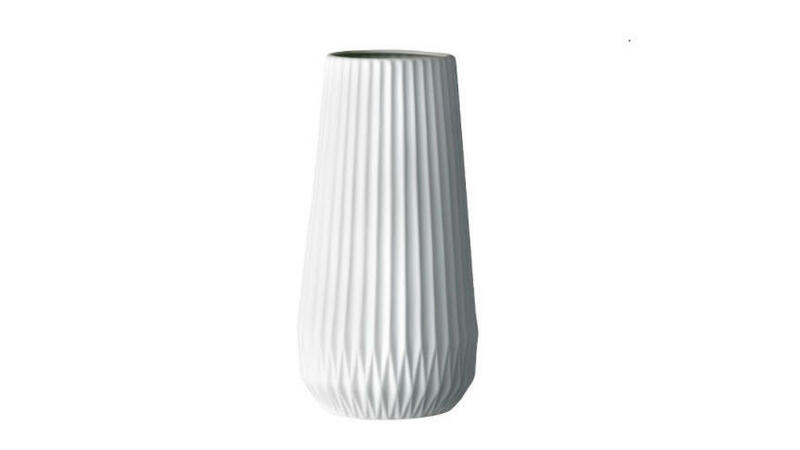 Scatter a few of these ceramic fluted vases down the center of your table and fill them with dried twigs and red berry branches for a very understated and chic fall centerpiece. Pressed leaves are a fun, and easy, DIY that makes the most of the autumn foliage. Simply gather the brightest and prettiest leaves on the ground and place them within the pages of a heavy book. 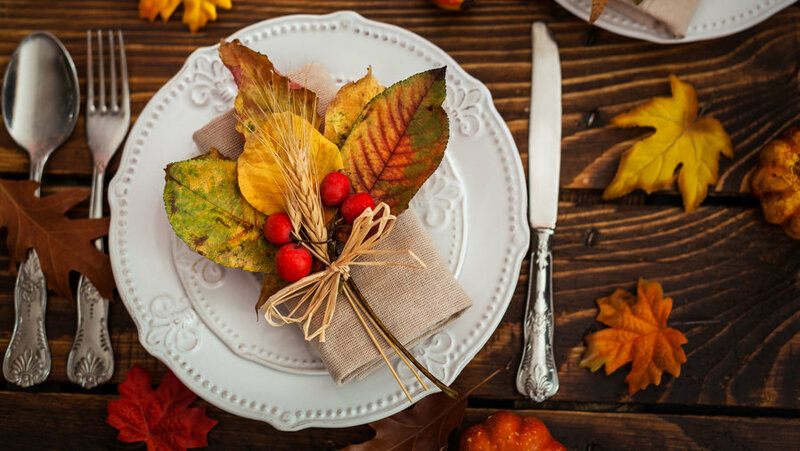 On Thanksgiving, take the leaves out and scatter around the table. 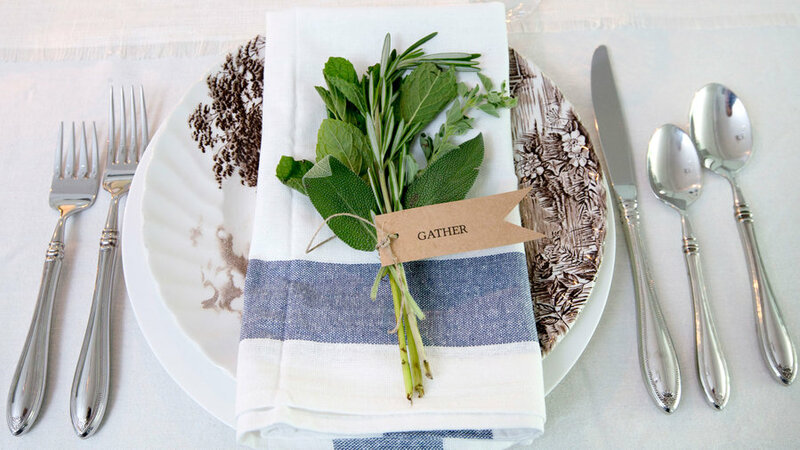 Using sprigs of thyme and sage and a bit of twine, create small bouquets for each place setting. You can also add a name card or a note to reminds guests of all they have to be thankful for this holiday season. 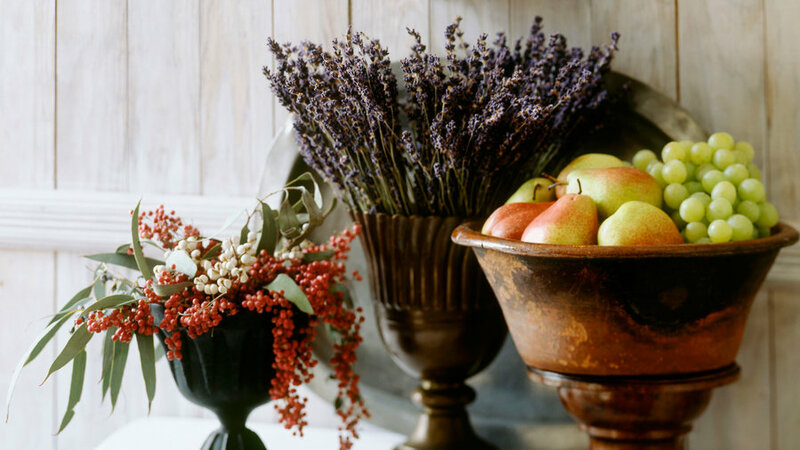 As an ode to the fall harvest, and as a way to bring abundant color into your spaces, fill vases, planters and bowls to the brim with seasonal blooms, fruits, and vegetables. 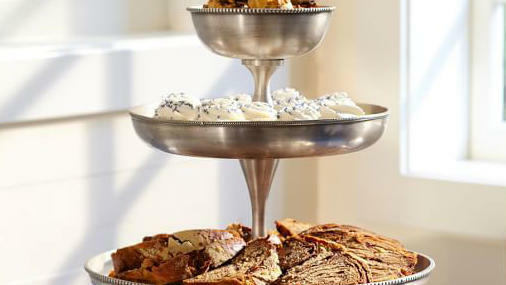 While a tiered serving platter makes food look all the more scrumptious, this Thanksgiving use this antique-style stand as a decorative display for squash, pine cones, and other harvest-inspired goods. Pumpkins, squash, and fall veggies galore! Use what’s in season to create a colorful and unique arrangement.